There are aspects of this novel that are really great, and yet it also has serious problems. It itself throughout as a mixture of genres – historical, mystery, horror, romance – yet is packaged as a literary work. This hodgepodge creates problems, yet somehow the work as a whole came out better for me than any of its individual component attributes on their own. At the end of the read, despite its many deep flaws, I have to admit it was entertaining, though by no means literary. And the narrator… the story is told in third person omniscient, but shifts views within single pages between various characters, speaking as if the voice were from the era of the setting, but then explaining things in modern terms as if the reader were incapable of realizing what simple Latin phrases were. The voice is one moment deathly serious, describing some horrific grisly detail, but then switches to describe something else tongue-in-cheek, even breaking the fourth wall to gently poke the reader. The voice employed by Zimmerman is therefore just too inconsistent. Beyond the fascinating historical details of the novel lie some moments of true horror, featuring the Native American wittika (wendigo) mythology. Zimmerman is really adept at writing the horrific. I found the passages of these moments to be chilling and creepy without being exploitation or gratuitous. Unfortunately, she fails at the mystery genre. The story is certainly a thriller or suspenseful, but there is little mystery. The party responsible for the murder is obvious a few chapters in. This fault largely arises from the fact that the characters are all very flat and fail to change appreciably. It is almost like they come from a role-playing game: Chaotic good, chaotic evil, neutral good, lawful neutral, etc. Guess which falls into the serial killer category. With character’s ‘alignment’ so obvious and unswerving, the mystery fizzles. Yet, despite these issues, I still enjoyed it a fair amount. The ride was interesting when I got past the ever-shifting voice, the historical aspects made new information still accessible, and the well-written suspense and horror of it made me look past the awkward romantic aspects that simply occur with little development or believability. Finally, the female protagonist, and believably rendered despite the 1663-context was uniquely interesting. I’m not surprised at all to see this novel has been optioned for a movie. It is a Hollywood type plot through-and-through, with its mixture of genre that can have something to please everyone in the crowd. Zimmerman even writes as if it were a screenplay with action of the screen. Surrounding her dialogue, she alternates between detailed complex sentences and short phrases lacking complete grammar to convey atmosphere, as if they are stage directions. 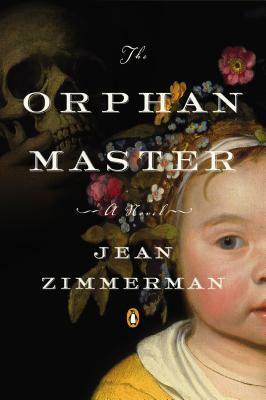 If Zimmerman writes another novel I might give it a read depending what the genre is. I think she could easily fix the issues of this novel with more editing – and perhaps focusing on two genres rather than multiple.